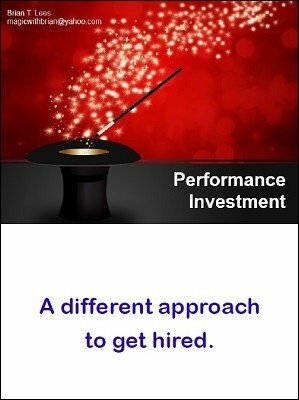 Ever wonder why some magicians always seem to get hired over others? Do you want to get your quote higher in the piles of those being considered? If you position your quote with a return on investment approach you will have more success. Skills and performance content is important. But those who suggest better returns in terms of value are those who get hired. This ebook identifies the “value add” elements that, if included in your quote, helps push your information to the top of the list.